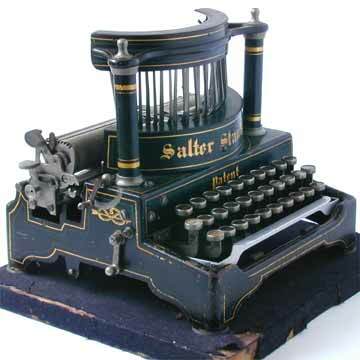 Soon after the introduction of the original Salter 6, an improved version was launched with a better carriage, easy to use ribbon return handle and slightly different frame. Like the earlier model, the Improved Salter 6 had two impressive pillars that carried the cover over the typebars, giving the machine an almost architectural appearance. The Salter 6 remained in production for a full six years, until the Salter 7 was introduced in 1907. For further details on differences with the earlier model, see the Salter 6.